Yuri Nagata flew all around the world to find a coach for East Tokyo United, a soccer team struggling in Japan’s top league. However, she’s been searching for just one man – Takeshi Tasumi, a former player for ETU who left the team abruptly years ago. 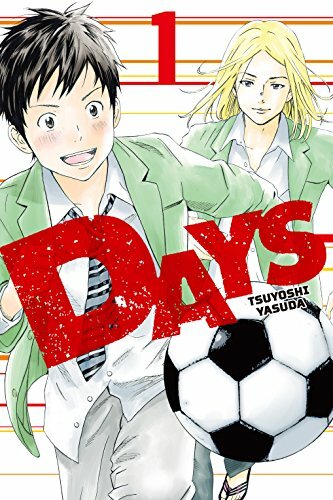 Arriving in England, Yuri finds Tatsumi coaching a low-division soccer team that he has turned into an FA Cup contender. Determined to turn ETU around, Yuri’s job is to bring Tatsumi home to do for his hometown what he loves doing most: causing the biggest upsets. 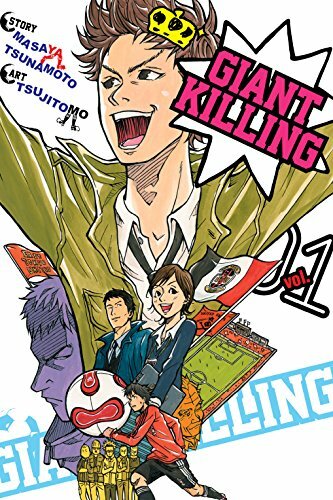 Most of the other sports manga I’ve read deal with the idea of being an underdog, but Giant Killing caught my attention with the way that it makes the idea of, well, giant killing, the central focus of its plot in a pronounced way. Central to this is Tatsumi, the enigmatic main character of this story who is driven by the idea creating the biggest upsets as a coach, and it was particularly interesting to see the plot driven by the perspective of him as the manager of the team as opposed to the perspectives of the players which are usually central to these types of stories. That isn’t to say that we don’t see the perspective of the player – we see them both thriving because of, and butting up against, Tatsumi as he begins his coaching tenure – but I enjoyed seeing the story from this other perspective. Throughout the story, we are shown the bigger picture of the team from the perspective of Tatsumi, and it was interesting to see decisions play out from the slightly more abstracted perspective. This was particularly interesting in the later half of this volume when Tatsumi faces off with the stubborn veterans on ETU – we see the hurdles that are placed in front of him in trying to get the team back to respectability, but Tatsumi also remains an enigma to us in personality because we never quite see what makes him tick in a way that brought us as readers closer in mindset to that of the players. The soccer scenes in Giant Killing are also quite entertaining because of the way they are structured around the tension of waiting for Tatsumi to unveil his strategy for the upset. The outcomes of the games in this volume are left in a degree of limbo because it all hinges on the strategic trickery, and this made the outcome harder to predict compared to two teams duking it out based on bare skill. We also get a vivid sense for the way that the strategies affect the actual flow of play – we see plays breaking down, and players becoming tired, and this created a real sense of the strategy’s effectiveness. This was brought to bear particularly well during a practice game that Tatsumi holds between the regulars and the speedier but less experienced substitute plays after he arrives back in Tokyo, and I thought this game did a great job of selling Tatsumi’s skill as a coach in an entertaining fashion while also establishing the dynamics of his new team. Although Tatsumi ends up taking most of the attention, I really enjoyed how much I ended up cheering for Yuri as she becomes the unexpected hero of the series. This becomes prevalent throughout this album as we see her relentlessness in trying to track Tatsumi down and subsequently perform her role as the marketing chief of ETU to the point of sheer exhaustion. This extends outwards to encompass the fans of ETU, and I really liked seeing their reactions to Tatsumi’s return in setting up his challenge of winning them back over and making them believe in ETU again. Giant Killing early on has set up a tantalizing underdog story, and the focus on all of the people reacting to Tatsumi’s return gave this volume a grander feel that I’ll be eager to see carry on as the story proceeds. Giant Killing Vol. 1 is an enjoyable start to a series that looks at sports from a different angle to produce a thriller early on. Although we are still held at a distance from Tatsumi, it wasn’t hard to become wrapped up in the underdog story of ETU thanks to the entire emphasis on a small club taking on the world. The action works well from this perspective even in the early going, and the series has an enjoyable cast of character established right off the bat especially when the story turns to put Yuri and her hard work in the spotlight. 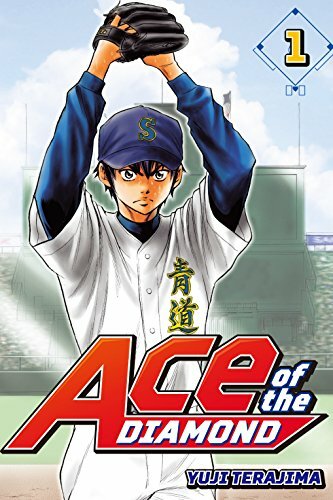 Definitely pick this one up if you’re a fan of sports manga or of underdog stories in their purest form. Giant Killing Vol. 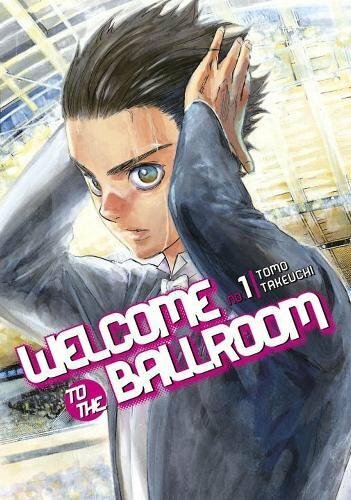 1 was translated by Alexander-Keller Nelson and published by Kodansha Comics digitally on March 7th, 2017. Created by Masaya Tsunamoto (Story) and Tsujitomo (Art), the series is currently running and has released 43 volumes in Kodansha’s Morning magazine.